Chris is ecstatic. We've put out oranges in late April for three years now. Each year, the orioles would build nests in a tree over the lake, but ignore our food. 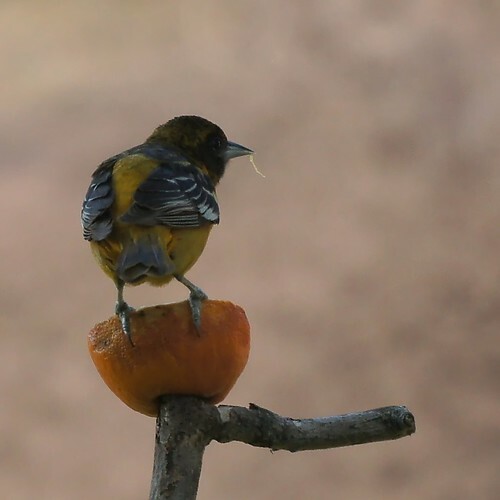 Today, we had our first oriole eat an orange. Great photos and great stories. No latin names for birds. It's for people like me that love birds.